Art is often speckled with tragedy. 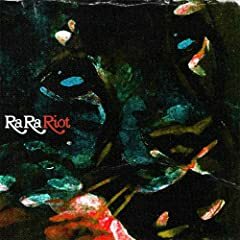 I was planning to post on Ra Ra Riot beforehand, but now with the untimely death of their 23 year old drummer John Pike early this month, I have to forgo some of the general enthusiasm and lightness of these posts in favor of something a little more somber. All there is to say really is that the music made by this Syracuse band is lovely and this is a terrible loss and it just breaks my heart to hear this sad news. Hopefully the music they make in the future will be able to be a testament to the young man who helped create their sound and the music they have already made will be a beautiful reminder of him. The ‘Hive sends its love to Ra Ra Riot. I believe this is the only indie band in the city of Syracuse. Thank god they're good.